I’ll post a diy post and hopefully have the Batthorse model but… next comes the matching bonnet just because I’m mean! ha looks great! just in time for halloween too – can’t wait to see Batt all dressed up! That pad looks awesome. 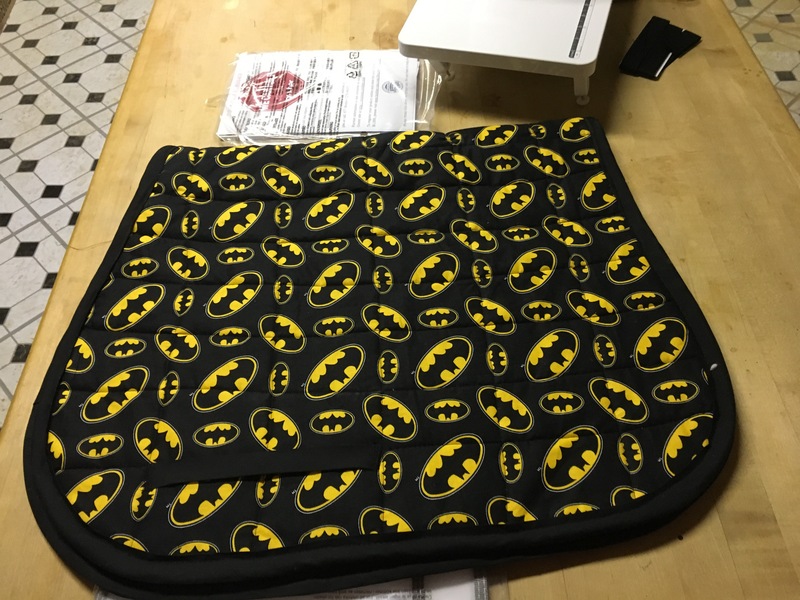 I make fly bonnets for mine all the time and have a DIY for it, but I’ve yet to attempt a saddle pad.